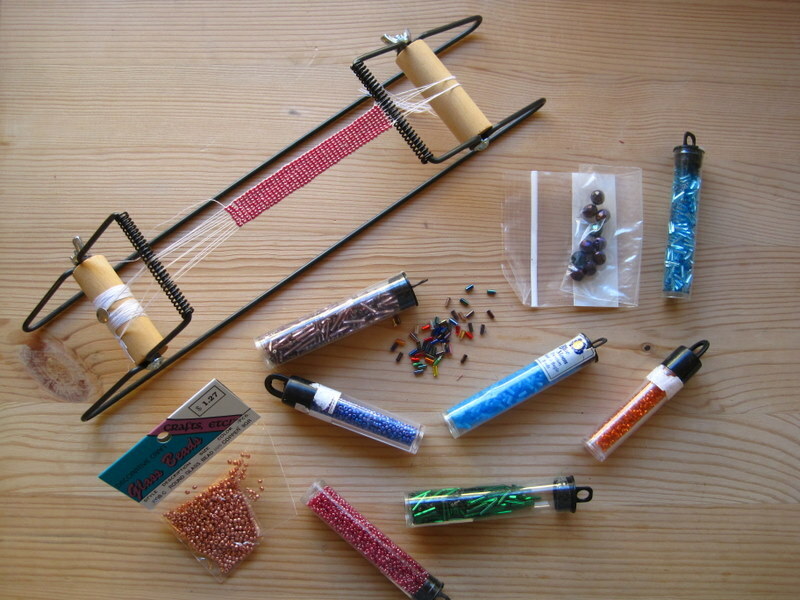 I brought my old high-school-era bead loom back with me from Memphis last month, and I have been slowly remembering how to use it. There was a shiny pink bracelet on the loom that I must have abandoned for college application essays, and I was determined to finish it. I definitely had a few false starts, but this tutorial saved the whole operation. 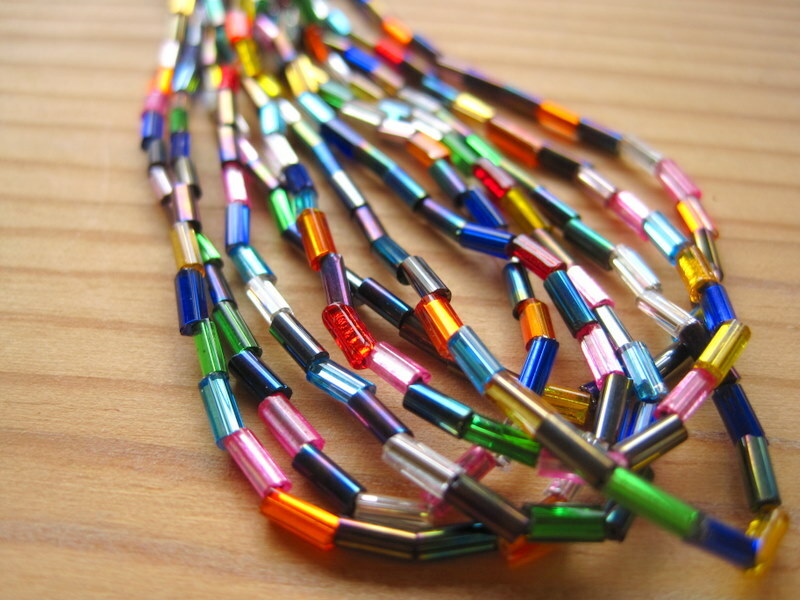 Thank you, kind bead loom ladies! Once I got going, it was pretty quick work: a simple under and over. 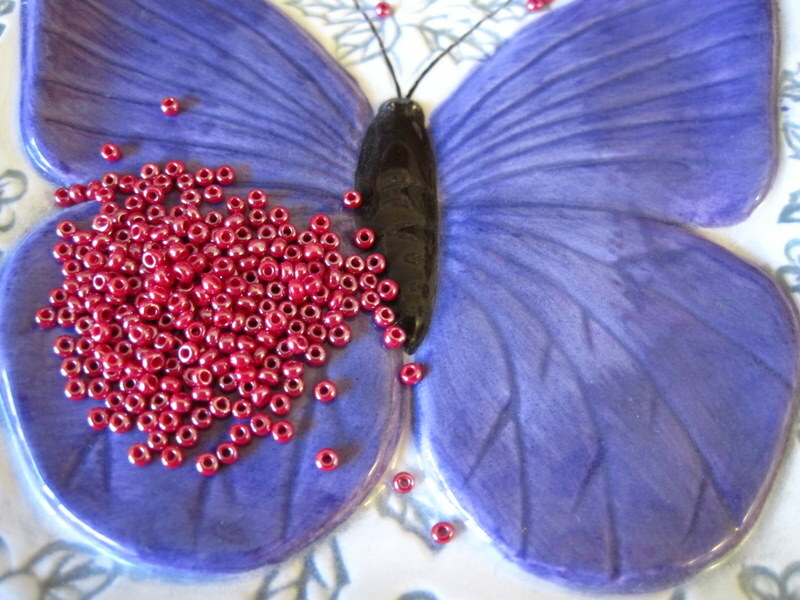 The hardest part, honestly, is picking up these tiny beads with the needle! I am now finished with the beadwork: hurray! The tutorial also gives some tips on finishing projects, like how to add clasps and closures, and that will be a project for the weekend. The best part of all of this is that my 16-year-old self was so overzealous with the thread for this bracelet that the loom is actually already pre-loaded for the next one! I think on that one I will experiment with some patterns, since I have plenty of colors to work with (thanks, Mom!). One of my lofty goals for this year was to actually read my cookbooks cover to cover. Not all of them (Bittman , I love you, but you are more encyclopedia than novel! ), but the ones that called to me. It’s sort of a singular experience, reading through a whole cookbook, as opposed to flipping to a certain recipe. You really come to know the person who wrote it, or you understand more about how a kitchen works (in the case of cookbooks related to restaurants), or, best of all, you come grasp what it is about food that made that person fall in love, over and over again. Some cookbooks come with stories for every recipe, and those are hard to put down; they are a powerful initiation into some of the most treasured flavors in someone’s life. Case in point: I devoured Molly Wizenburg’s A Homemade Life in two days. They were such delicious and moving days, truly. The night I bought Ottolenghi’s Plenty , I sat up late in bed reading through all of the fascinating influences of his recipes and drooling over the gorgeous photographs. I felt as if I were traveling with him, picking up black lentils here and sumac there, and then bringing it all together into one irresistible and culturally expressive whole. It’s funny that this is the first time this idea has come to me, since I am such a great lover of cookbooks of all kinds. I think maybe it is because we have so many new ones, graciously given to us as wedding gifts (thank you, sweet family and friends!). I use all of them all the time, but I just had this inkling a few months ago that there was a greater experience to be had through swallowing them whole (pun intended). And I am very happy to report that I was very, very right. So, here is a small report on my progress thus far. I started with The Cheese Board Collective Cookbook , which Eric gave me for my birthday. (He really loves seeing me open a present and then squeal with glee, “I *really* wanted it!” He hears that a lot, come to think of it.) For my Bay area comrades, the name requires no explanation. For others, the Cheese Board is a collectively owned bakery, insanely amazing cheese shop, and glorious thin-crust pizzeria. It is a local institution, so deeply interwoven in the culture of Berkeley. It has been in North Berkeley since 1967, and it is still a rite of passage to stand in their long line while enjoying the jazz trio, buy a few pies, and eat them in the grassy median of Shattuck. This cookbook is so much more than a cookbook: it is a piece of local history, with interviews from members throughout the decades. I read it in two days, and then I asked Eric why we ever moved away from Berkeley. Sigh! I have probably baked all of the scones in the book already (The Great Scone Explosion of 2011 had to have a foundation! ), but these recipes meant so much more to me when I learned more about the people who bake them, what their daily routine is like, what the bakery sounds and smells like at 4am, and how they know their customers by name. It is, quite simply, a beautiful thing. Their pizza recipes are also stellar (ah, nostalgia! 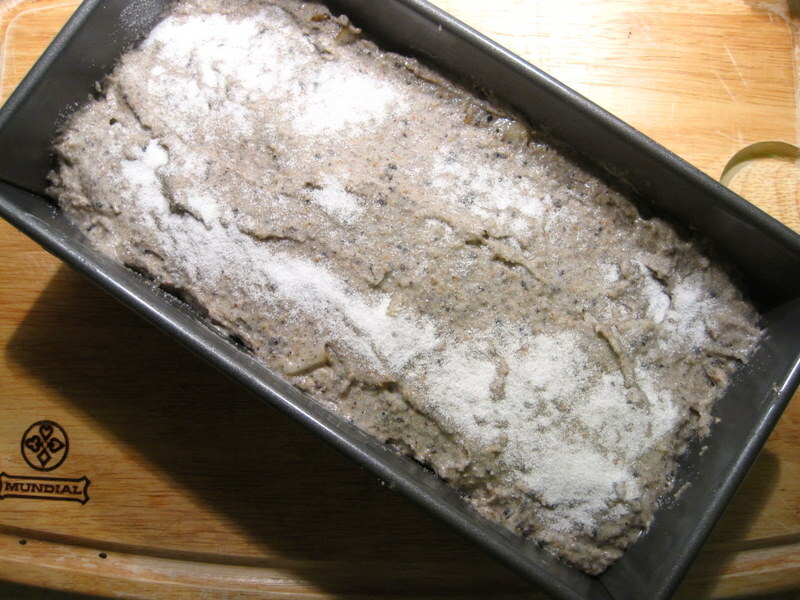 ), and I am longing to bake some of their breads–oat sandwich bread, you shall be mine, and also perhaps some sourdough, if I have the patience to make my own starter. Really, the reason I started with this book is that there is a ton of information about cheese, and I wanted to learn how to make some fancy cheese plates. I had no idea I’d also be given an introductory lesson in how cheese is made, and now I fully understand why it is so expensive and fully support its right to be so. I never could have gotten all of that from my scone recipes alone. I am so grateful for the experience, and so excited for what I’ll learn next! Now I am reading the girl & the fig cookbook , which was also a gift from Eric, this one for Christmas. The girl and the fig is a fantastically delicious restaurant in Sonoma. Eric and I ate dinner there last year for our anniversary and had a lovely time, so it is a special place to us. So far what I am loving most about this book is that I feel like I am coming to know the chef. Sondra Bernstein is so incredibly gracious, using almost her entire introduction to thank her staff and team of chefs, as well as her customers, some of whom she mentions by name, especially the children! There is immediately the sense that this place is a real community, which is so much of the beauty that is present at the Cheese Board too. Right now I am loving learning about their kitchen staples: the oil blend they use for every dish, the mix of olives they place on the tables, the bouquet garni they always have on hand. 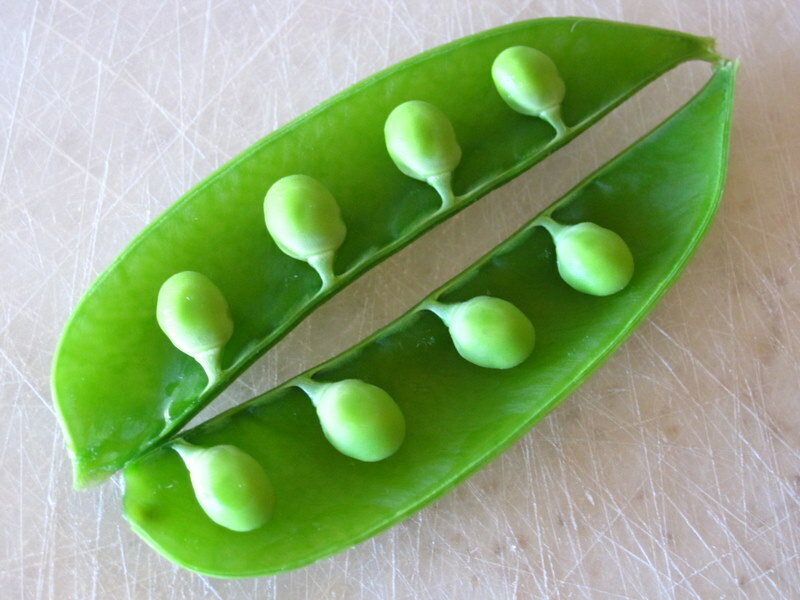 I love learning about the real staples of a kitchen (anyone’s kitchen, really–the fascination is endless, and there is always so much to learn from others), and these are so interesting and so helpful. But my absolute favorite part so far is that Bernstein spends pages presenting what is essentially a prose poem of gratitude for all the memorable foods she has eaten all over the world. Several sentences in, I was with her in Chile, and in Santa Fe, and in Kenya. 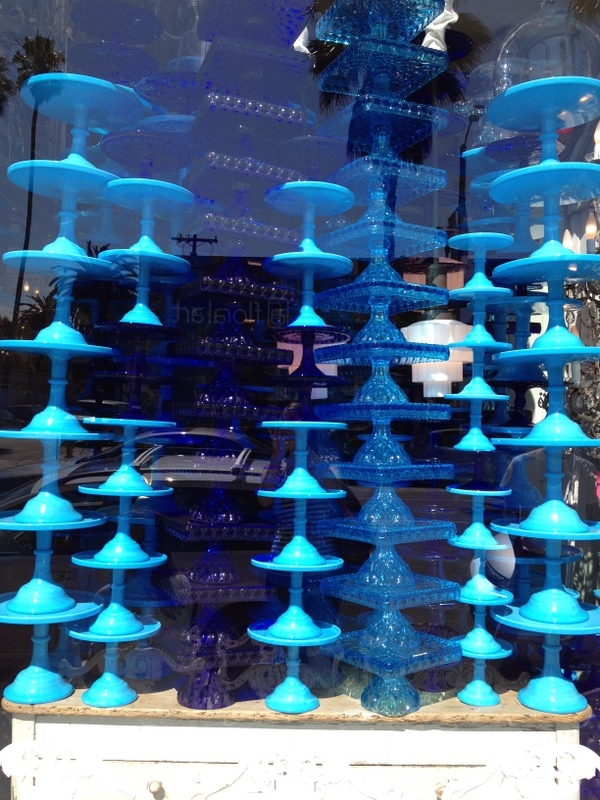 I found the whole idea of preserving those sensory memories–treasures, really–in one place to be absolutely moving. I may just have to write my own soon. And so, only a few months into this little resolution, I feel incredibly moved, inspired, and grateful. Grateful for the people who took the time to share their kitchens with me, grateful for all the people who make those kitchens work, grateful to be able, in some small way, to participate. Wednesday seems like the right time to bask in the glow of the previous weekend. This one was especially wonderful, since my parents were in town, and we got to spend some time with my little brother (AKA, hermano). The great food we ate was just one small part of the happy picture. 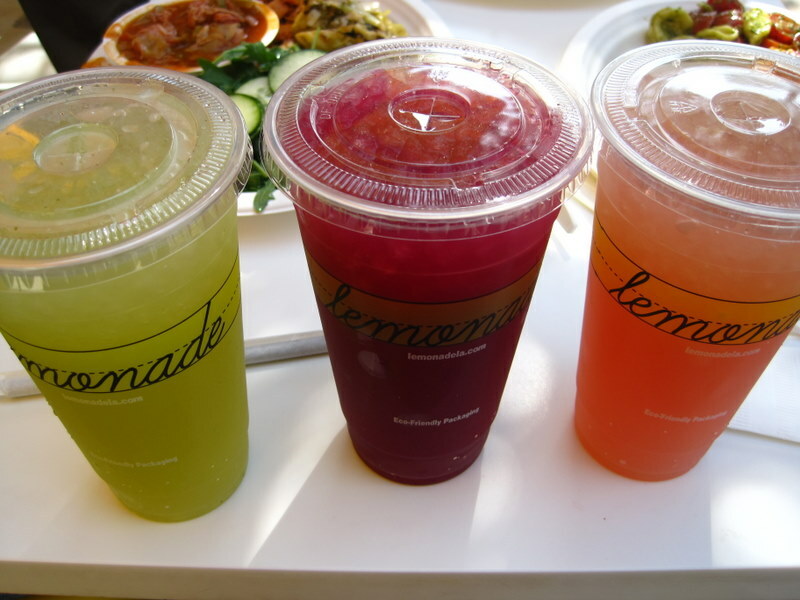 Lemonade is just up the street from our place, but we had ever been there. Oh my, it is awesome. Here are our three lemonades: cucumber mint (I think), blueberry mint, and watermelon rosemary. The food was just as glorious: more vegetables and grains than you could shake a stick at! And I would be remiss if I did not show you this. On Friday night our first stop was The Counter, which is a perennial favorite. 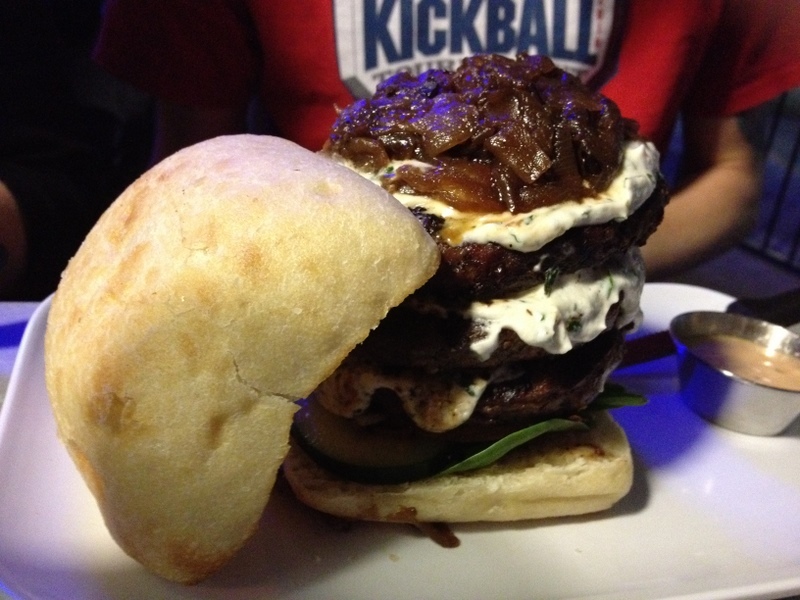 My hermano ordered a ONE POUND burger, which, it turns, out, is three 1/3-lb. patties. I could not believe it when I saw it, but he actually ate 2/3 of it, and then took the extra patty home for leftovers. Impressive! On Saturday we headed over to Venice, which is a totally charming town. 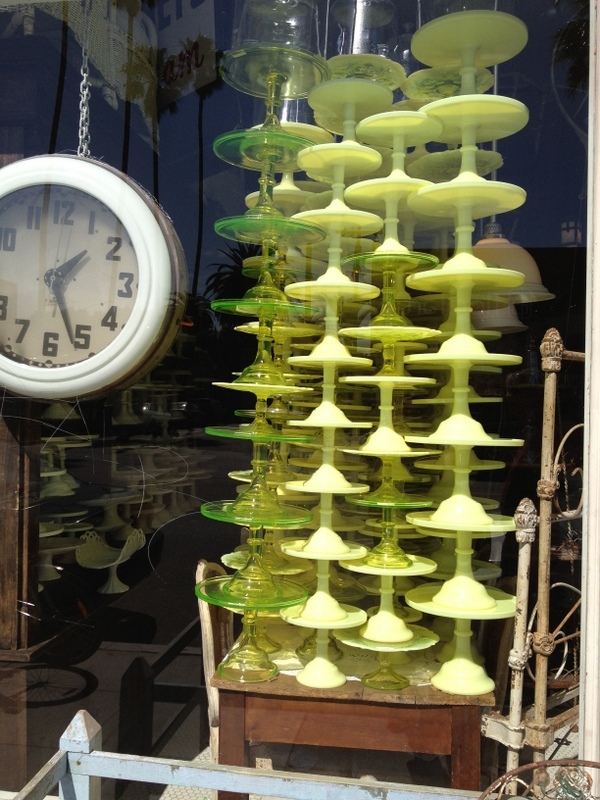 We passed by tons of interesting shops, and I kind of fell in love with this place that had two windows full of gorgeous cake stands. Yes, cake stands. The blue ones were glorious. I would like to have one. Or twelve! 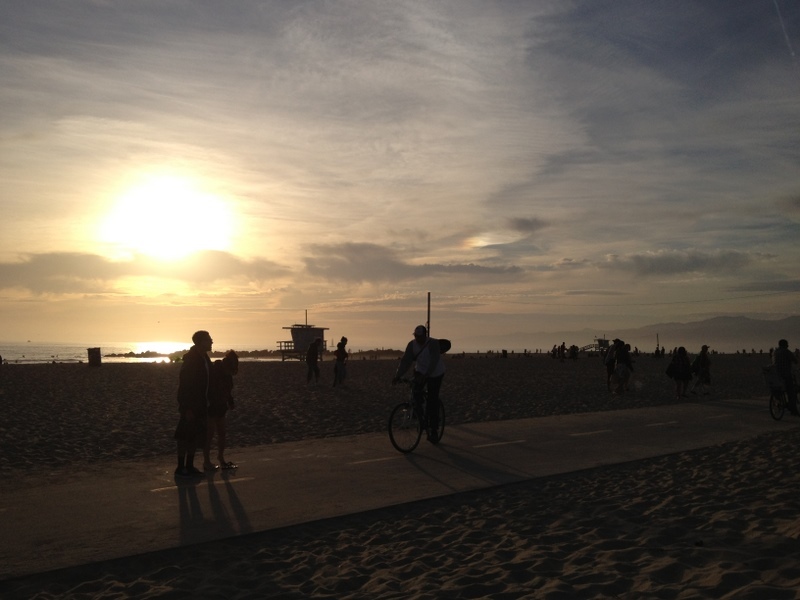 And here is a shot of the beach at Venice. I will never tire of living near the ocean! Where did I get this crazy idea? From Joy the Baker! Now you know you don’t have to worry. She has a recipe for similar cupcakes in her new cookbook , and I adapted it slightly for a torte, which just might be, according to me, the world’s most perfect cake. (There is also a recipe for a similar traditional double layer cake on her blog). I have been craving avocado for the last few weeks, and I decided that, in addition to covering my salads with it, I would try baking with it. It really functions beautifully, and, I repeat, you can’t taste it at all. 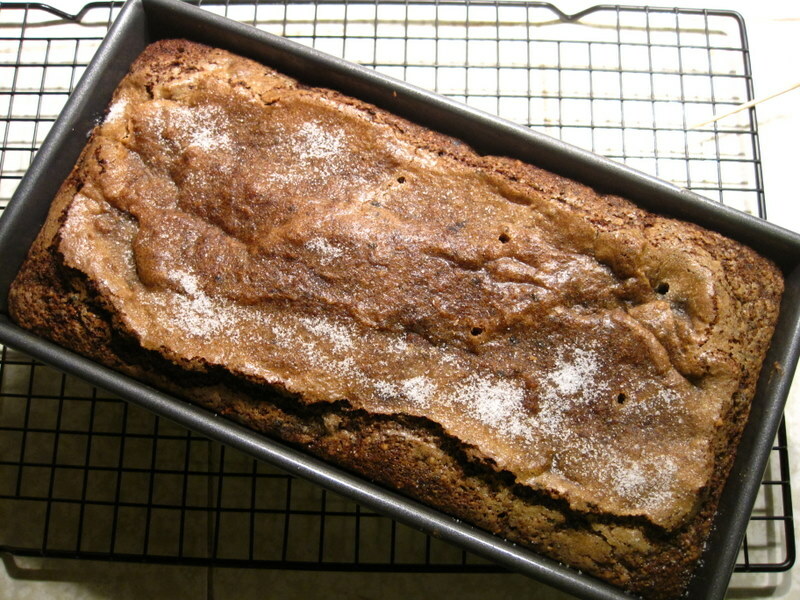 Since I’ve been into whole grains lately, I wanted to make them the stars of this cake. I used all whole wheat flour, and it came out wonderfully. 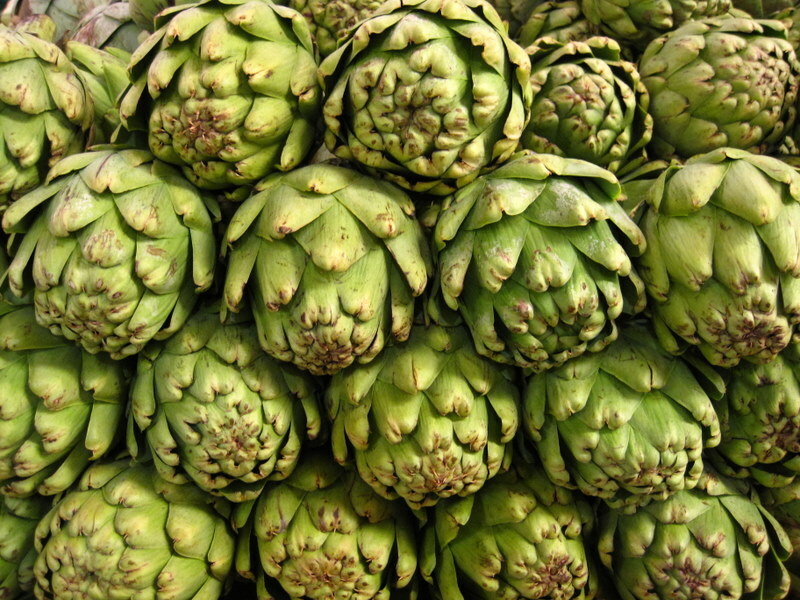 Not too heavy, not too dense, and with no discernable effect on the flavor. I also added some raw millet, since it’s my new favorite, and since, obviously, this cake needed something to make it crunchy. 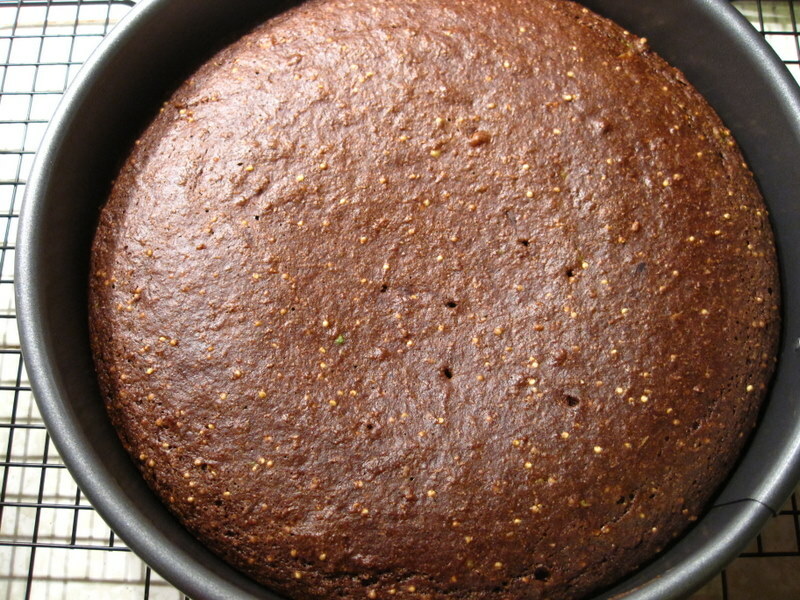 I baked my cake in a Springform pan because I just love it for a quick and no-nonsense cake. Most of the time I can’t be bothered with frosting, so it’s perfect for me! About half an hour in the oven later, you’ve got yourself a decadent chocolate cake that you can totally feel good about. Enjoy! -Preheat oven to 350 degrees F. Grease and flour one 9″ Springform pan. Set aside. -Sift together all of the dry ingredients. Set aside. 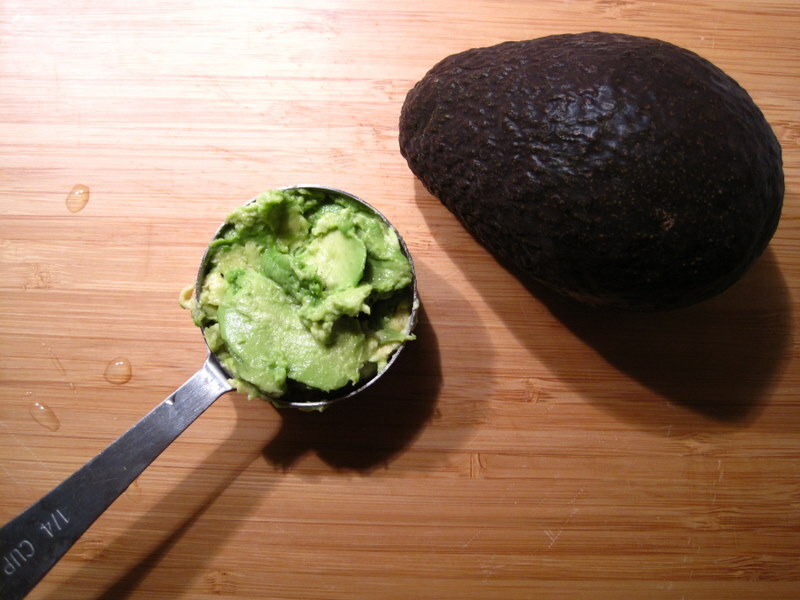 – Mix all the wet ingredients together in a bowl, including the mashed avocado. 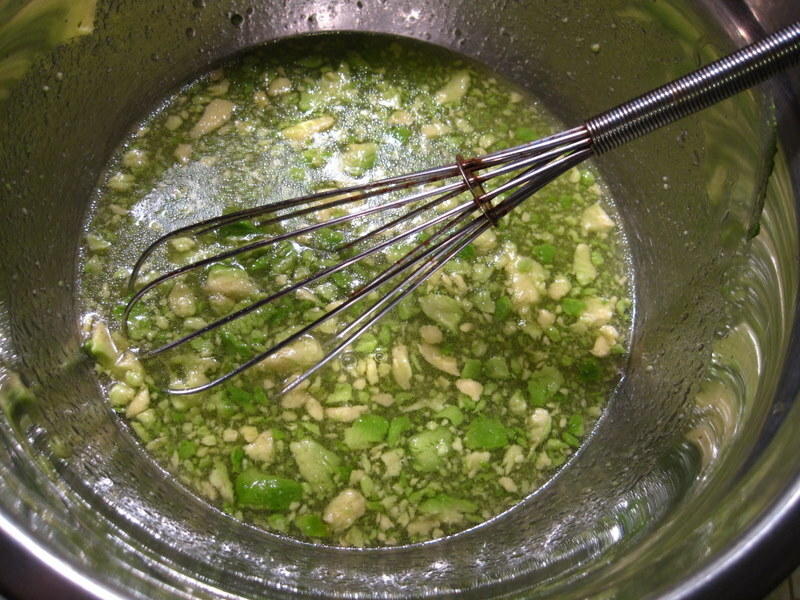 -Mix the wet with the dry all at once, and beat with a whisk (by hand) until smooth. -Pour batter into cake pans. Bake for 30 to 35 minutes, until a toothpick inserted comes out clean. 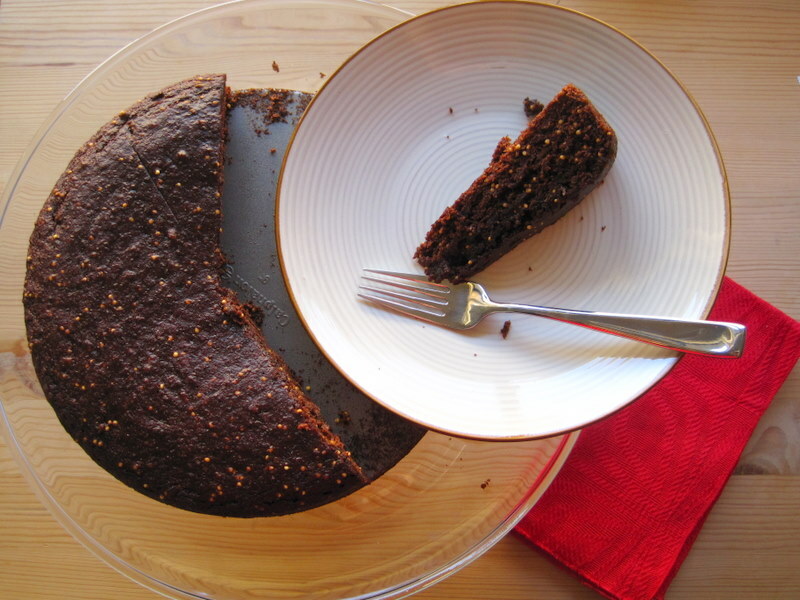 -Let cake cool in pan for 15 minutes, release from pan, and dig in! This is the dress I wore as the maid of honor in my Besfrinn’s wedding. That was such an incredibly fun and beautiful day–it’s hard to describe how much joy you feel when someone you love so much finds someone who loves them just the same, someone who complements them in the most wonderful ways, and then you get to celebrate with them and wish them well as they start their new adventures together. I cannot believe how many years ago that was, but it feels all the more special now that she and her husband are just weeks away from welcoming a sweet baby girl into the world! 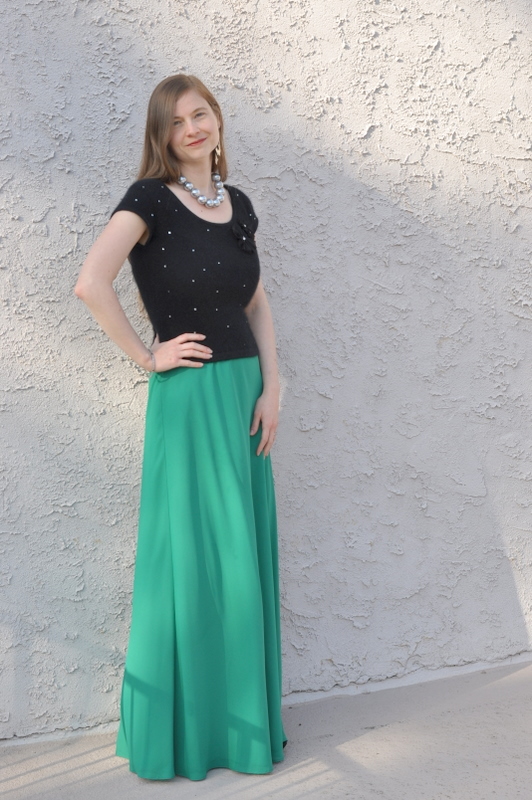 I love the bright green color of the dress, and I thought I would try it with a top to transform it into a flowy maxi skirt. Mission accomplished! This cashmere sweater was a treasure of a find from a thrift store many moons ago. I love its little sparkly spots and the tulle bow. Since it’s kind of a formal look, I grabbed my shiniest bling. These earrings are from Berlin, where I studied some summers ago, and I love the jingling noise they make. My mom found this amazing necklace at the Bargain Barn, and then, wonderful soul that she is, she gave it to me. 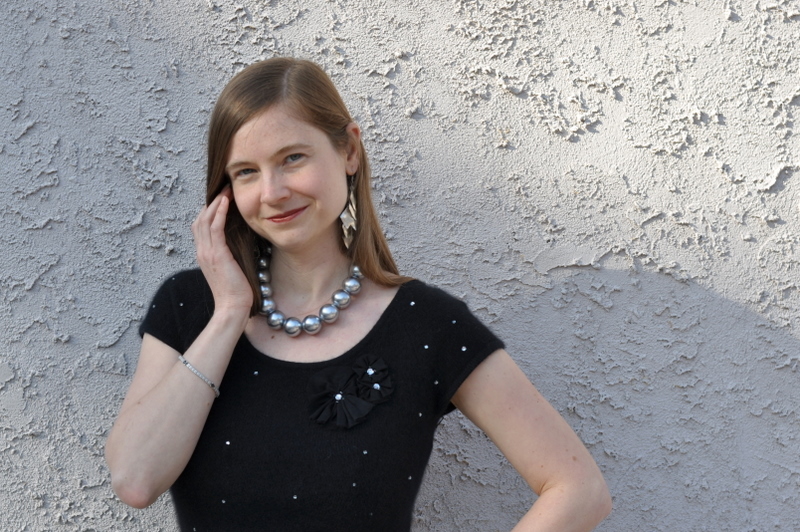 I like how the triangles in the earrings contrast with the round beads in the necklace. This bracelet was a gift from my parents for my 21st birthday. I still remember opening it with glee at the finest restaurant in Oberlin, Ohio (Weia Teia, I miss you!) Sapphire is my birthstone, so it was especially sweet. I found these pretty shoes at my favorite thrift store in Pasadena. I cannot tell you that they are comfortable, but, ah, they make me feel glamorous! I love the feel of this look. 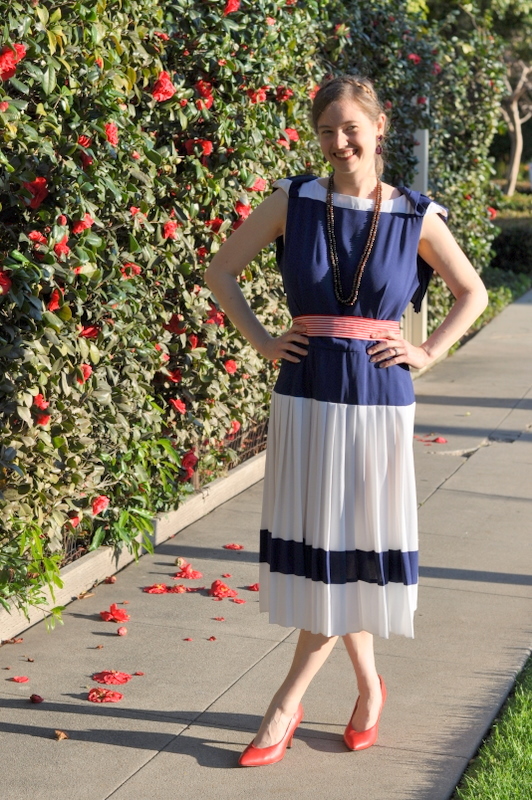 On a windy afternoon, this dress dances on its own. Speaking of dancing, my parents are in town, and that is always cause for celebration. We have had a lovely weekend spending time with my little brother, hitting the beach, drinking tons of coffee, and eating some amazing food. They are so wonderful, and I am so grateful for them, and for all the fun we have together! Hope you all had a great weekend too! I love maps. Maps of all kinds. I love the idea that space can be imagined and represented in as many different colors and scales as there are people on this earth. I love the physical sense of being able to touch the spaces you inhabit, to trace with your finger the routes you carve in your daily life, to hold something huge so delicately in your hands. Here are a few of the ones that are especially dear to my heart. I lived in the East Bay for seven incredibly beautiful years. I crossed this bay hundreds of times, I’m sure, slowly making my way into the outstretched fingers of the peninsulas. I miss it so much, and all the same, I believe I am making new maps now–that the lines are slowly being traced into my personal version of Southern California. I think that we carry our maps with us, in our bodies, but it is also nice to have them in a concrete form. 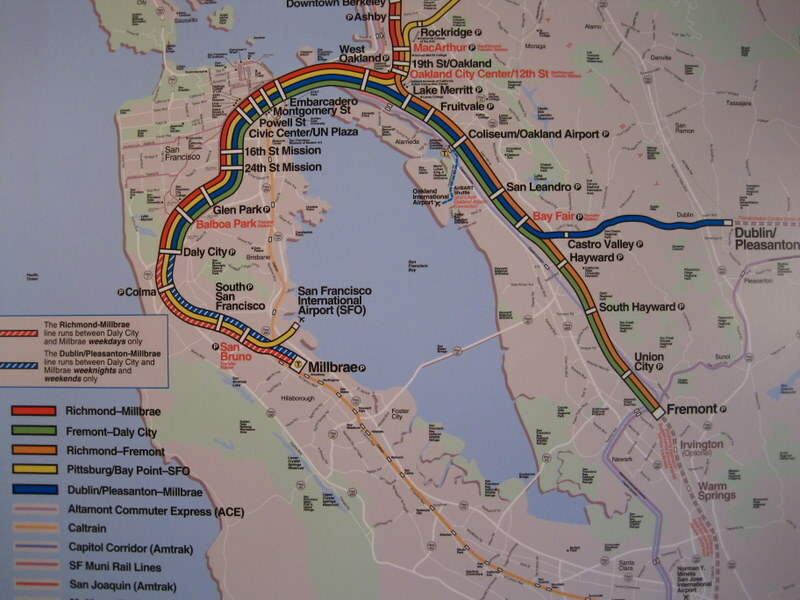 The story of these maps begins on a late autumn night, as I sleepily dragged my heels out of the BART station to my car, holding Eric’s hand. It had been a long day of working on our wedding registry, catching up with my parents, my brother, and his fiancee (now his wife), and eating copious quantities of pupusas. The best kind of day. The best kind of tired. 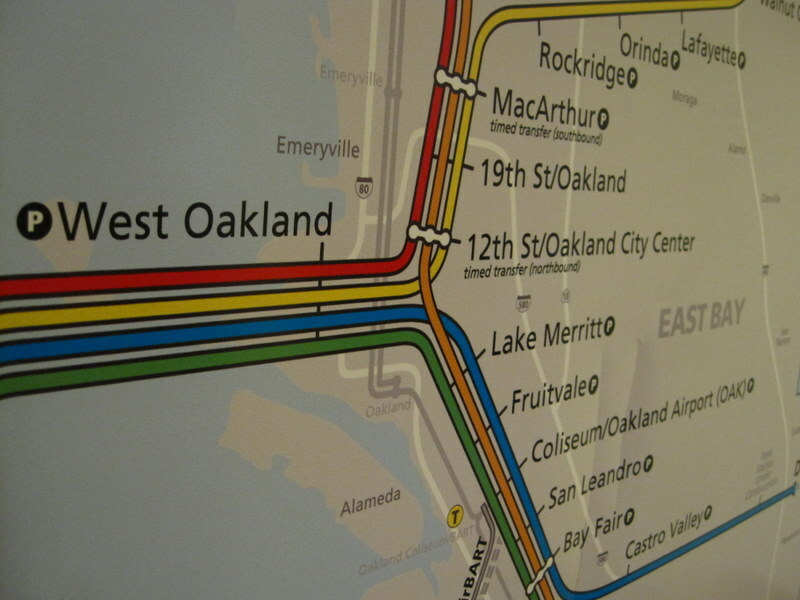 Suddenly, I heard Eric’s voice in my ear, “Baby, do you want a BART map?” And I was jolted awake! Apparently they were changing the 4′ x 5′ station maps, and they’d just tossed the old ones. Eric and I pulled them out of the trash. Such incredible treasures! We kept two and gave one to my brother and his wife, who now live in Brooklyn. 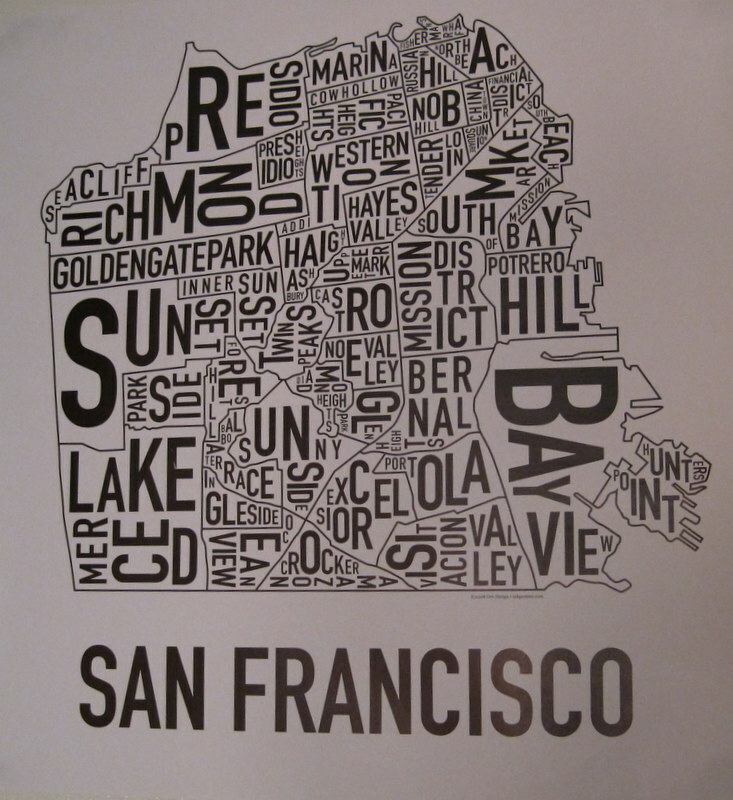 I can imagine that theirs means as much to them as ours do to us, Bay area exiles. In the happiest of news, my parents are coming to visit this weekend, and one of the many positive side effects of their visits is that we hang things on the walls before they get here! 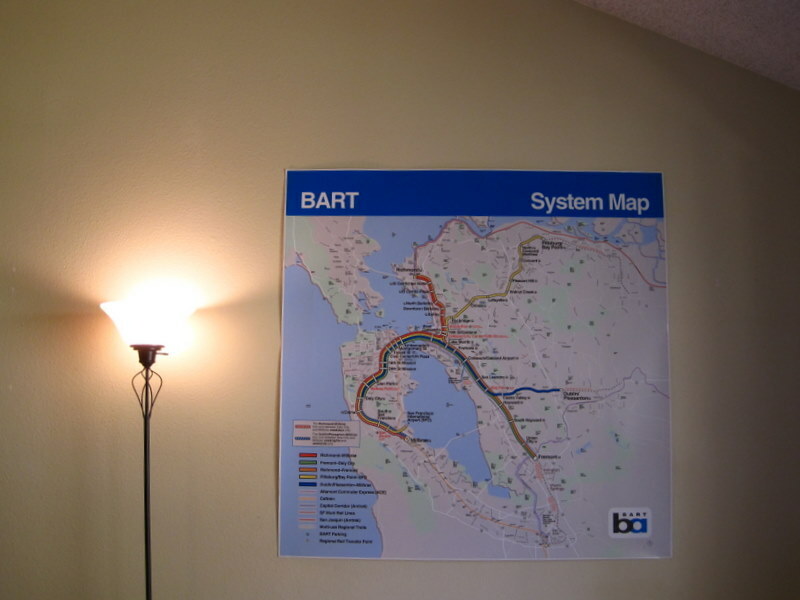 So, we’ve just put these maps up–one in the guest bedroom, one in the entry hall, just where I kept it in my little place in Oakland. I realized as we were hanging these maps that they are in good company, since we have another San Francisco map up in the living room. This one was a gift from my brother. We are a map-giving family, and I like it that way. As we speak, Eric is hanging the little maps of love that I made him for Christmas. I am happy that our space is a space of maps, or, more literally, a space of spaces. You can take the girl out of Bakhtinian chronotopes, but you can’t take the Bakhtinian chronotopes out of the girl! Ever since I got back from Memphis with a huge stash of beads (courtesy of my awesome mom), I have not been able to stop making jewelry. It’s the perfect thing to do while unwinding, and I believe my affection for bling of all kinds has been long-established. 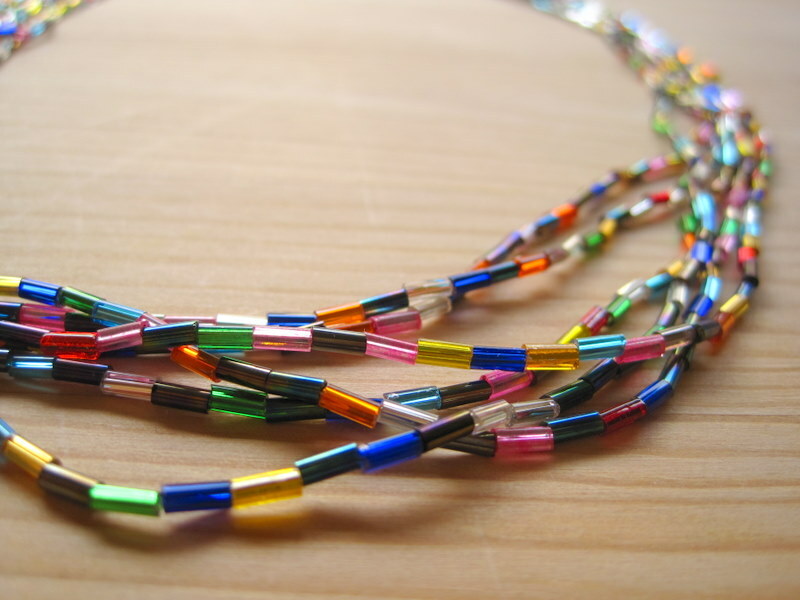 I planned to make a braided necklace similar to my last one, made with seed beads, but then I realized that these long and skinny bugle beads sort of do better standing on their own. 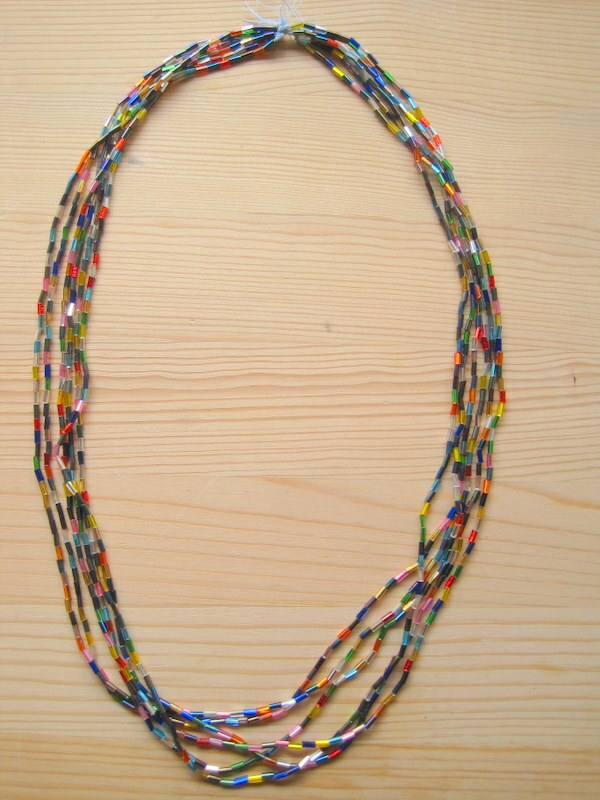 And thus, this six-strand necklace was made. 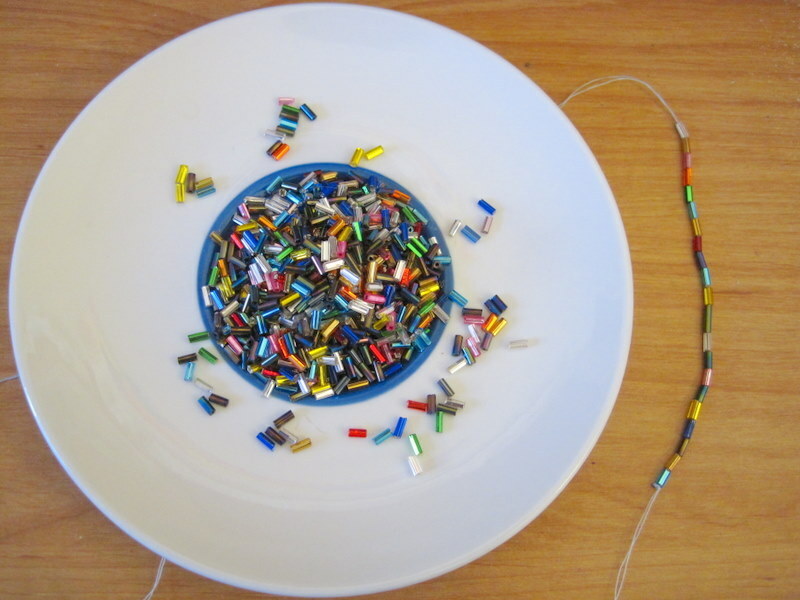 I don’t think I have any real wisdom to offer on the beading process, except to use a beading needle (they are incredibly thin and will fit through even the tiniest of beads) and to measure your thread meticulously. Once you’ve got those two things under control, you can sit and bead away, looking up every now and again at Project Runway, or whatever else suits your fancy. Once I had all my strands completed, I simply tied them all together. 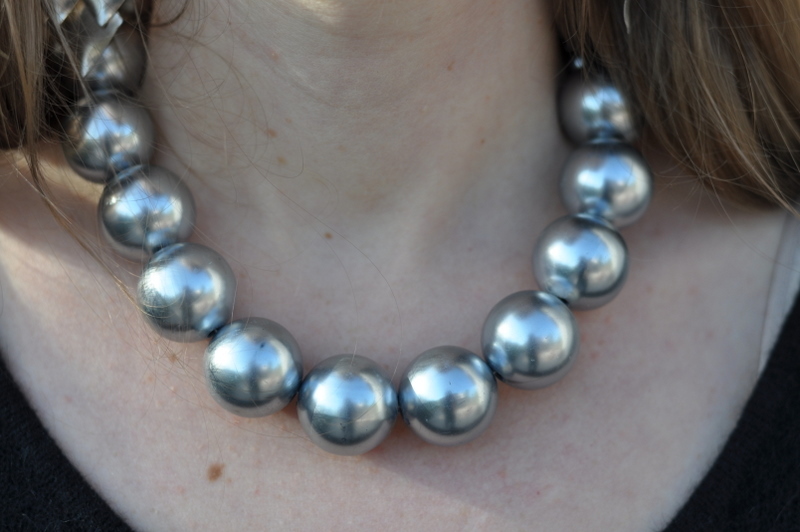 This necklace is big enough to fit over my head easily, so I didn’t bother with a clasp. I know, I’m so classy. If you’re planning to go this route, make sure you leave lots of thread at the end of your strands. It will just make life easier. 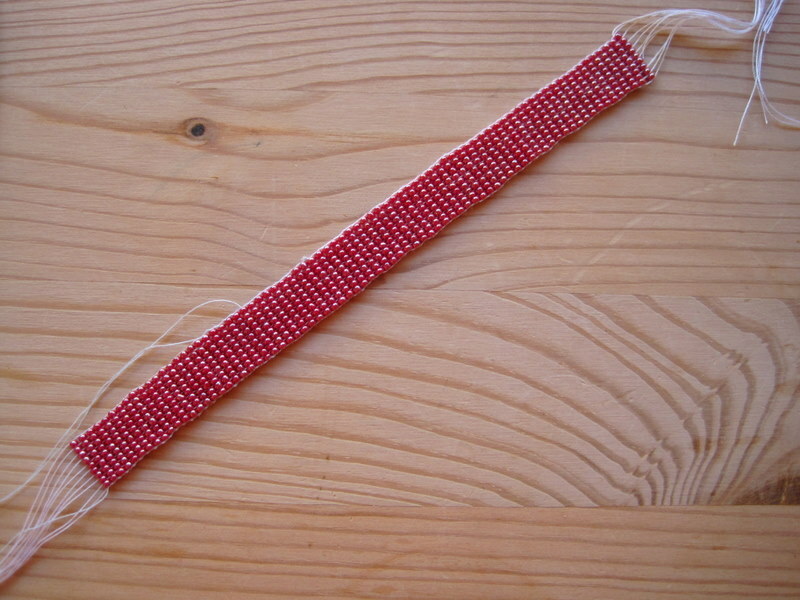 I have also been working with my long-lost friend the bead loom, and I have figured it out! I suspect that my jewelry-making problem is only going to be exacerbated by this, but it’s a price I’m willing to pay! Making things, whatever those things might be, is one of the greatest joys in my life, and I’m grateful to have the time and resources to dabble in whatever seems interesting. Or shiny! I am a list loving girl. Thankfully, my husband loves them too, and we both totally geeked out over our mutual affection for them on our early dates. 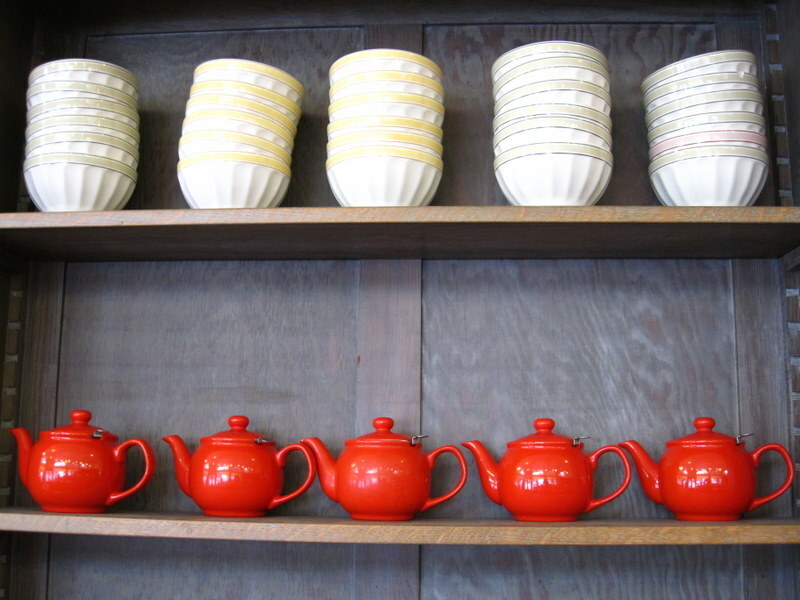 I like having things in one place, I like the (illusion of) order, and, most of all, I like remembering things. I’ve got lists all over the place, and, every now and then, I try to consolidate them into one giant and masterfully efficient List System. This, dear reader, is one of those moments. 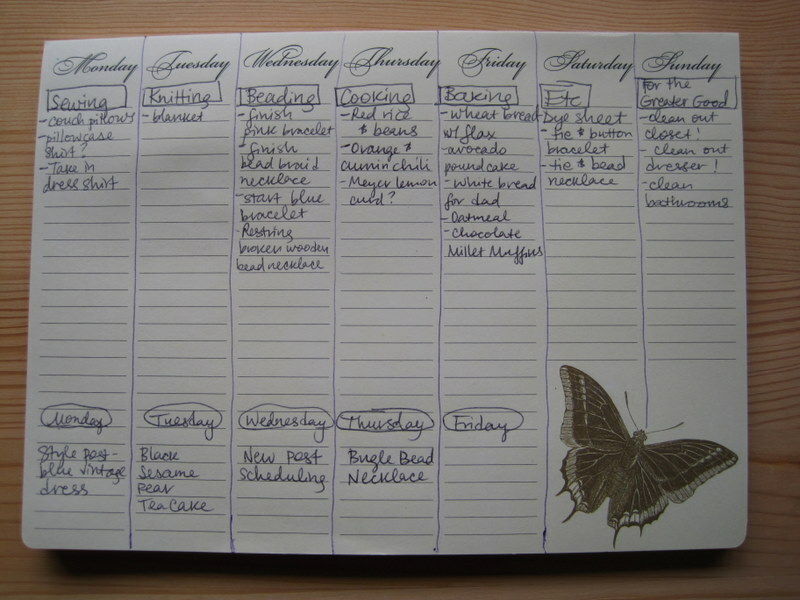 Let me show you some of the ways I have been keeping up with my blog ideas and post scheduling up to this point. The book you see above helps me keep track of what I’m doing on the blog. I bought it on our honeymoon in Hawaii, and it makes me happy. There are tabs for each subject, and I scribble my ideas, and, when I’ve posted about them, I highlight them. 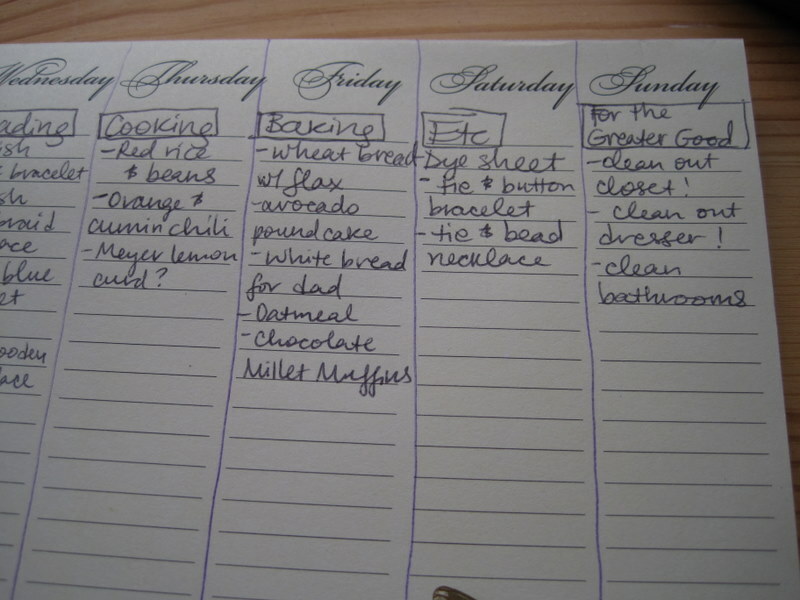 This is a pretty good system, when I can remember to do it. 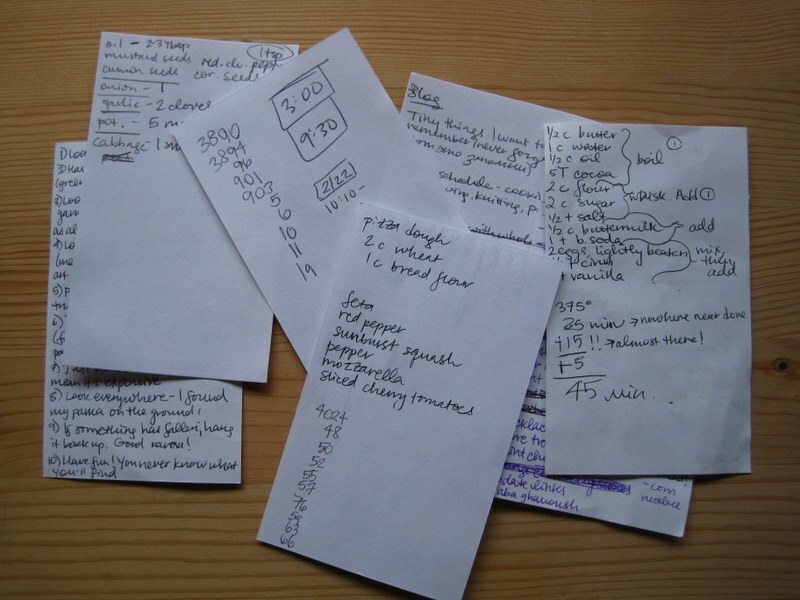 But my desk is also covered with these: endless piles of notecards, detailing recipes, image numbers, and immediate blog plans or outlines of posts. There are also some truly boring ones, reminding me to make a dentist appointment or get the oil changed, or keeping up with the hours I’ve worked on freelance translating. You are starting to see the problem, yes? Notecards are awesome for so many reasons, and my husband won me over to their excellent multi-faceted potential long ago. The problem is keeping up with them. Since I’ve started working, I’m coming home each day to a brick wall of tired, and it’s hard for me to remember which ideas are where, which projects I’m trying to finish, or where to start with the blog. Since I have less time to work on projects, I started feeling like I needed a funnel for my projects, or at least some kind of neon light system, telling me, “Hey! Remember me, that necklace you started last week? Finish me!” or “Hey! Don’t you remember you bought avocados to bake Joy the Baker’s avocado pound cake?” And thus, the new system was born! There is also a section that I call “For the Greater Good,” which reminds me of things that really have to be done, like cleaning the bathrooms before my parents come to visit (don’t worry–it will get done!). Cleaning out the dresser and closet really have to be tackled in order to make room for what I call “new acquisitions” (ah, librarian talk!) from Memphis. I am hoping to put together a clothing swap party with some lovely ladies soon, and that’s where some of my things that don’t fit anymore will find a happy new home. Although I realize that the days of the week are printed at the top, I had to be an iconoclast and put the blog post schedule at the bottom. 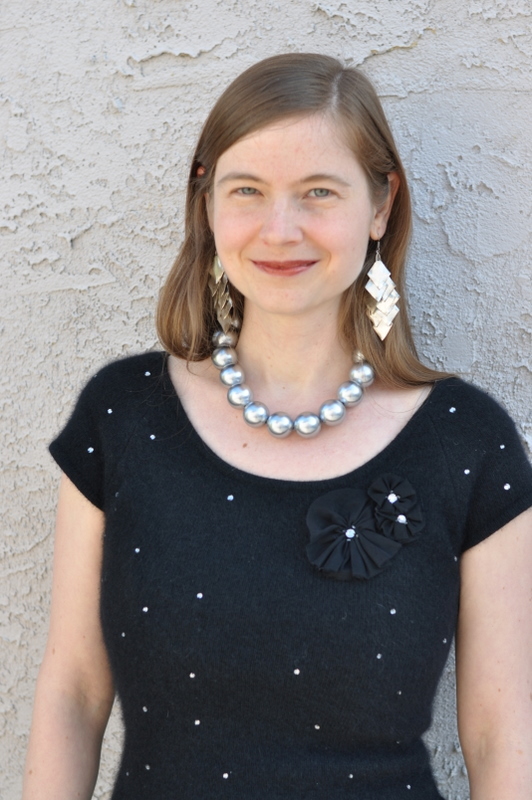 Usually, my sweet husband takes style photos of me over the weekend, and I post them on Monday. But after that, it’s a free-for-all. I usually like to leave Friday open for anything that may come up during the week, or for more large-scale reflections. So, that’s my new system! So far, it’s been really helping me a lot. And I think it helps to reflect on it too–there’s always something to be gained from examining why we do do things the way we do. 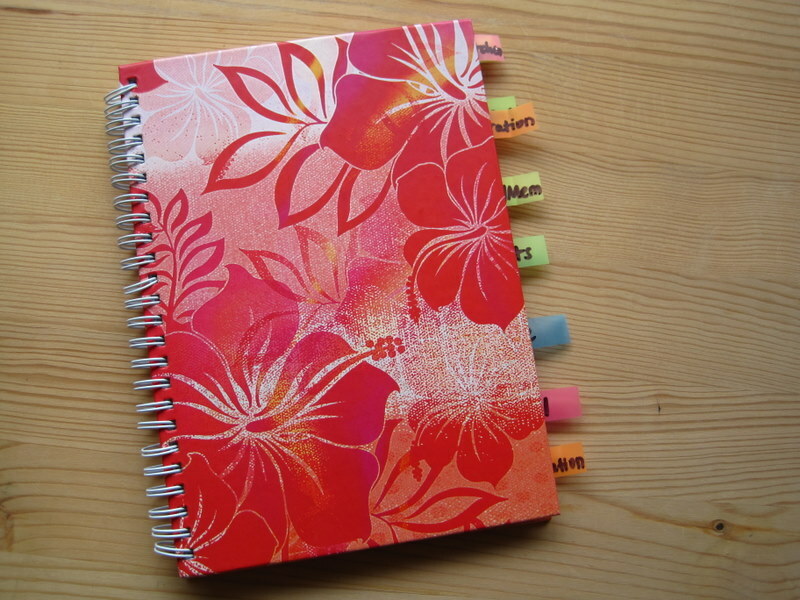 How do you organize your projects and blog posts? I would love to hear any tips you might have, since I’m always learning as I go! The last issue of Bon Appetit made me so very happy. There was a gorgeous Jim Lahey pizza on the cover, and the inside did not disappoint either. One of the articles was on pairing sweets with coffee. You can just imagine how gleefully I ran to show it to Eric. Very gleefully! It was hard to choose which recipe to start with, but I eventually settled on this one. It looked delicious, and it sounded intriguing. I can most definitely assure you: it is the most interesting thing I’ve ever baked. And I do not doubt that it would go perfectly with coffee, particularly a rich and bold roast. 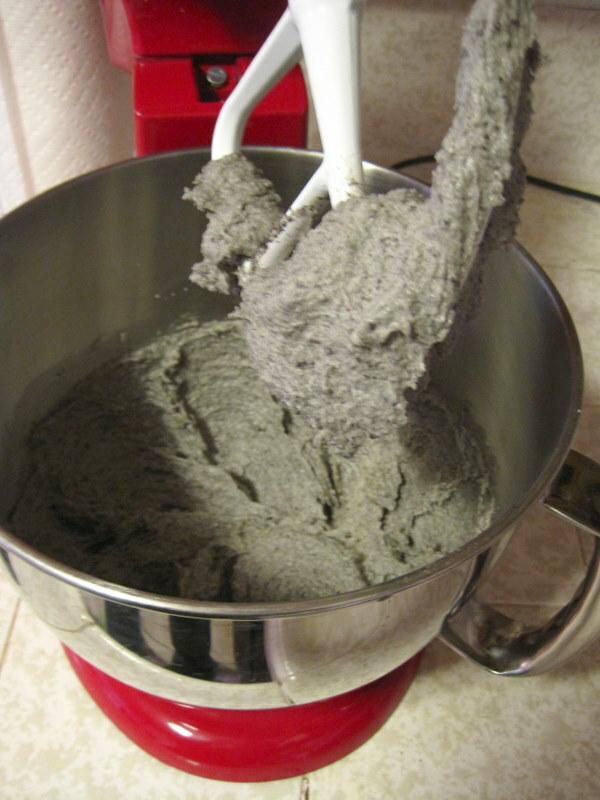 I really haven’t worked much with black sesame seeds before, and certainly not black sesame seeds ground into a paste. 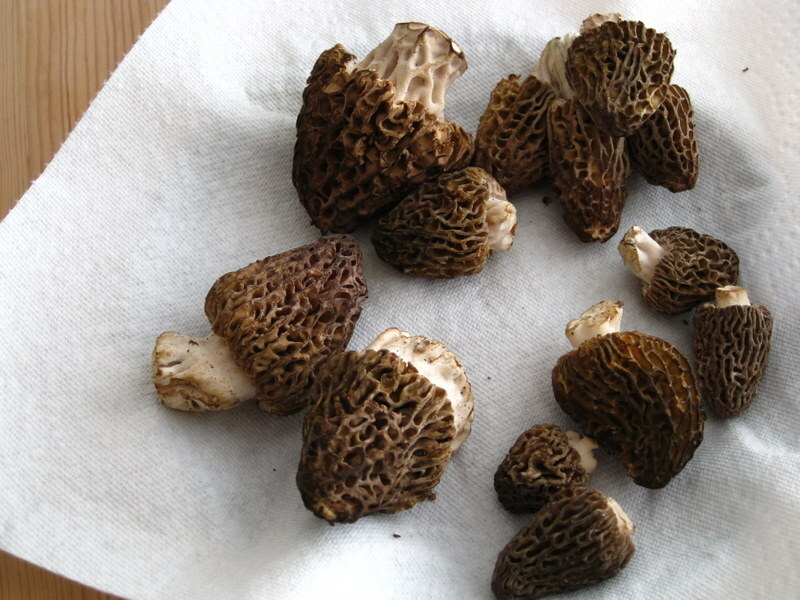 It makes for a really unique flavor, something kind of earthy and musky, if those words can be used to describe food. Whole sesame seeds are added to the flour mixture, which is good for a girl who requires crunch at all times. This crunch is a delicate one, but it’s delightful too. As the ingredients come together, the cake batter takes on a distinctly gray hue, which may be a little disconcerting to those of us used to deep chocolate brown and maple syrup mahogany, but fear not. This is how it’s supposed to look. 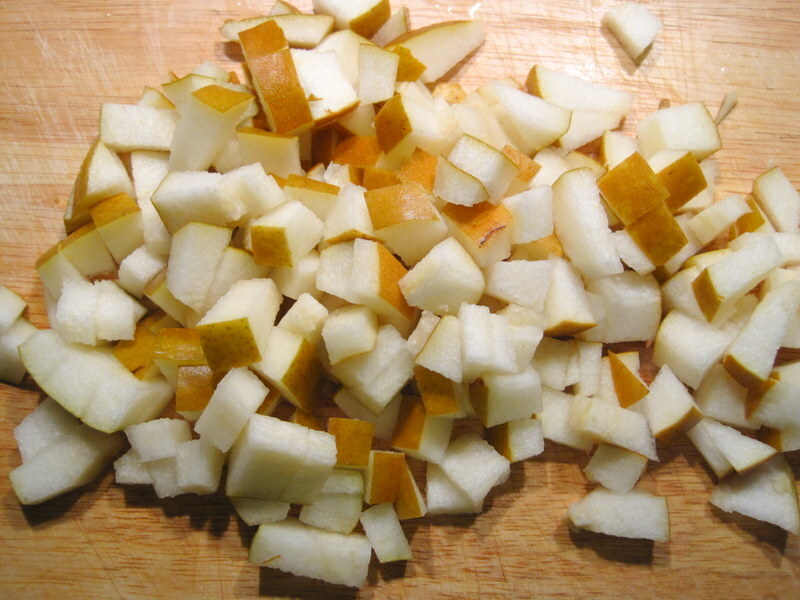 At the last minute, you throw in your pretty diced pears, and then you’re ready for the oven! This is the maiden voyage of my new loaf pan (thank you, sweet husband!). The cake gets an extra sprinkle of sugar on top for good measure. And here it is, ready to slice and eat! 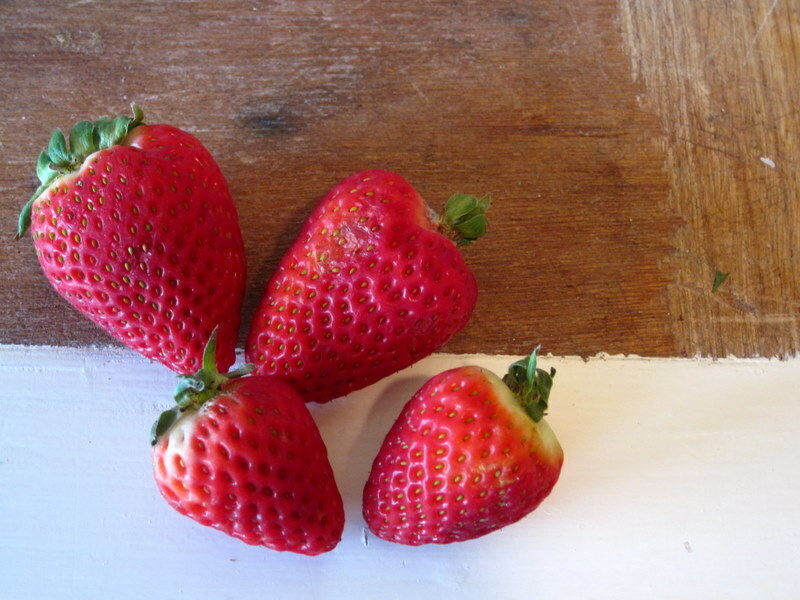 It has such an interesting flavor: earthy and dense, but decidedly sweet and fruity. I didn’t make too many changes to the recipe (I used half whole wheat flour and cut the sugar a little), but I am thinking of all kinds of variations I’d like to play upon this theme. 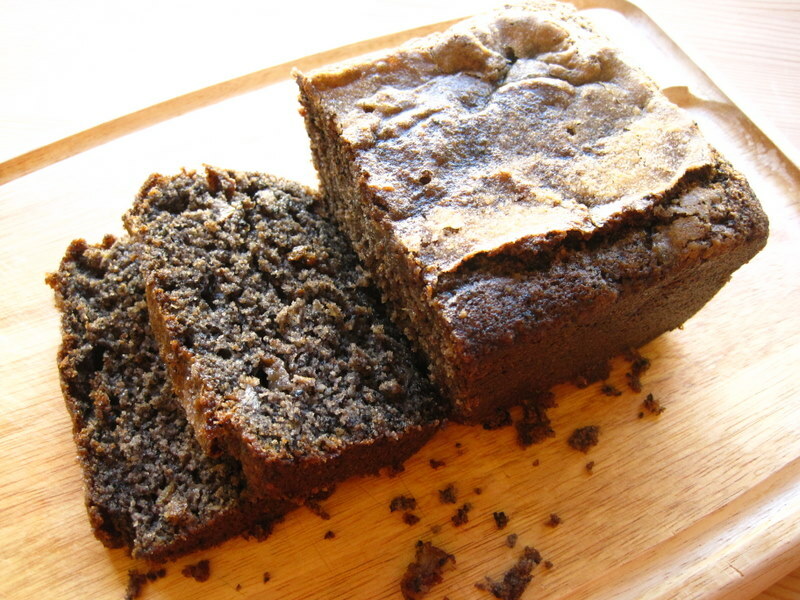 Because of the earthiness of the black sesame, I think next time I might sweeten the cake with honey. Apples would be just as welcome as pears, and I am always pondering adding almonds or pecans to everything (just ask my husband). Let me know if you try it, and if you make any changes! -Preheat oven to 325°. Butter one 9x5x3-inch loaf pan or six 4x2x2-inch paper or metal loaf pans. Whisk 1 1/2 cups flour, next 4 ingredients, and 2 Tbsp. sesame seeds in a medium bowl. 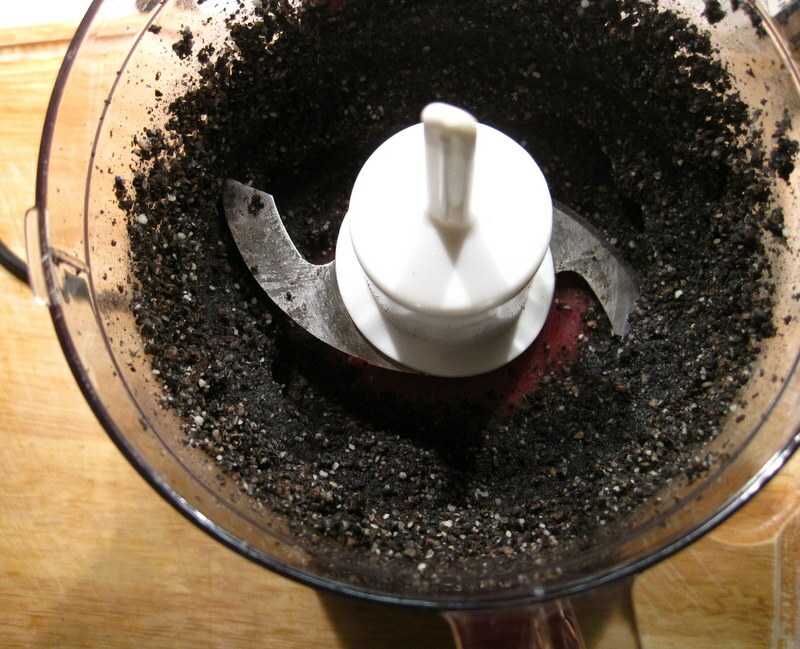 Grind remaining 1/2 cup sesame seeds in spice mill to form a thick paste, about 2 minutes. 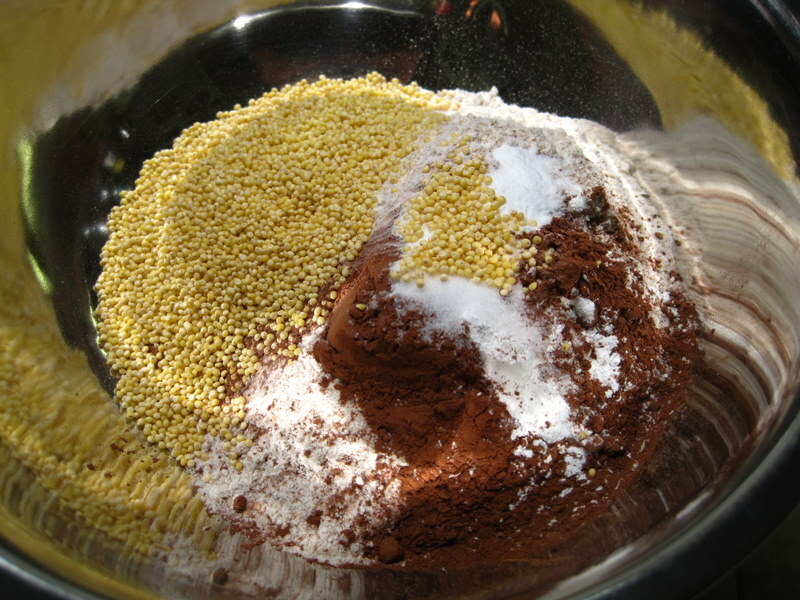 -Using an electric mixer, beat 1/2 cup butter and 1 1/3 cups sugar in a large bowl until well combined, 2–3 minutes. 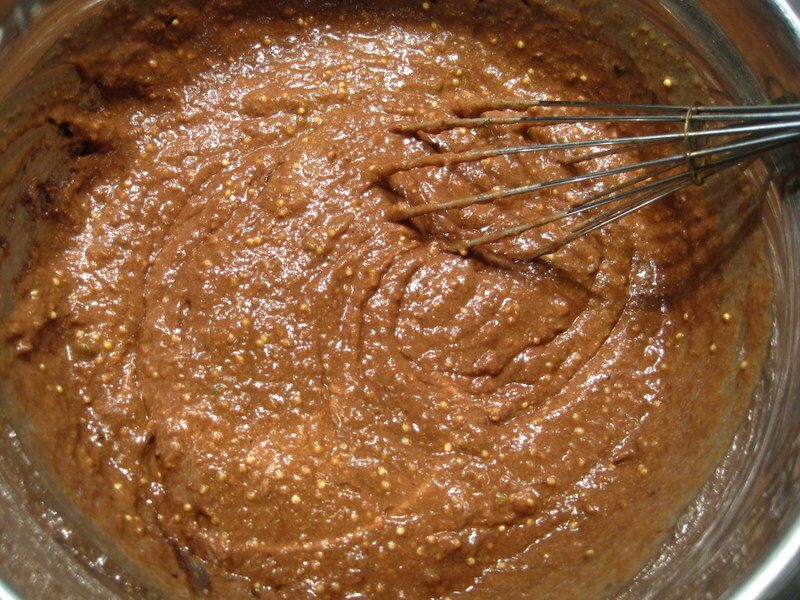 Add sesame paste and beat, occasionally scraping down sides of bowl, until blended, 1–2 minutes. Add egg and egg yolk. Beat until pale and fluffy, 3–4 minutes. On low speed, beat in flour mixture in 3 additions, alternating with buttermilk in 2 additions, beginning and ending with dry ingredients. 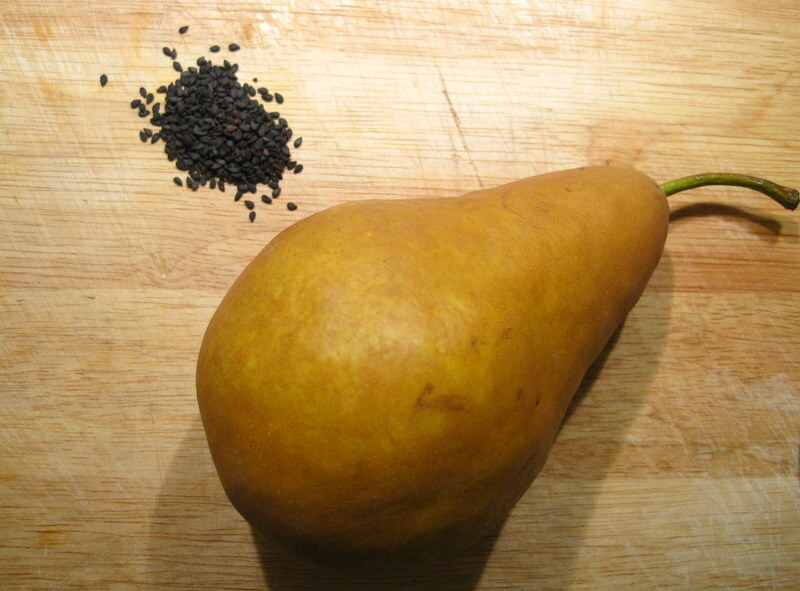 Toss pear with remaining 2 Tbsp. flour in a small bowl; fold into batter. -Spoon batter into prepared pan; smooth top. Sprinkle with remaining 2 Tbsp. sugar. -Bake until a tester comes out clean when inserted into center, about 1 hour 40 minutes for large loaf and 45–55 minutes for small loaves. Let cool in pans on a wire rack. Store, tightly wrapped, in refrigerator. I found this dress at the Bargain Barn in Memphis, and I loved it so much that I tried it on right over my clothes. Happily, it fit! 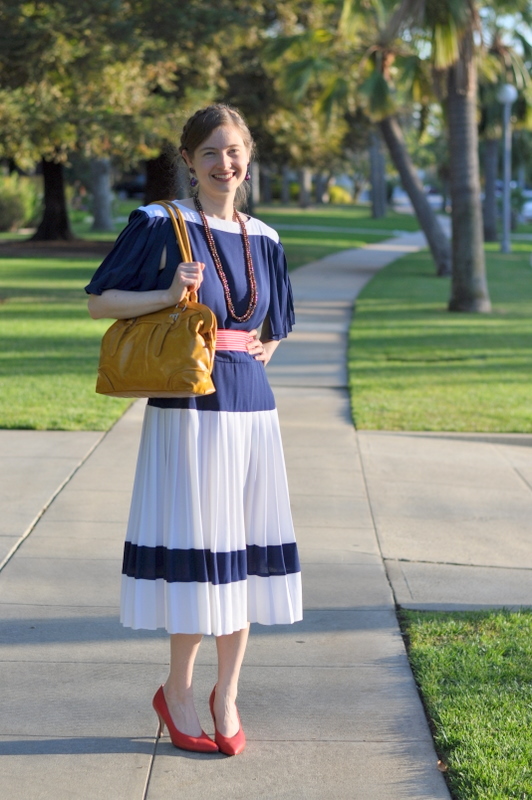 I love all the pretty pleats and the seaworthy colors. 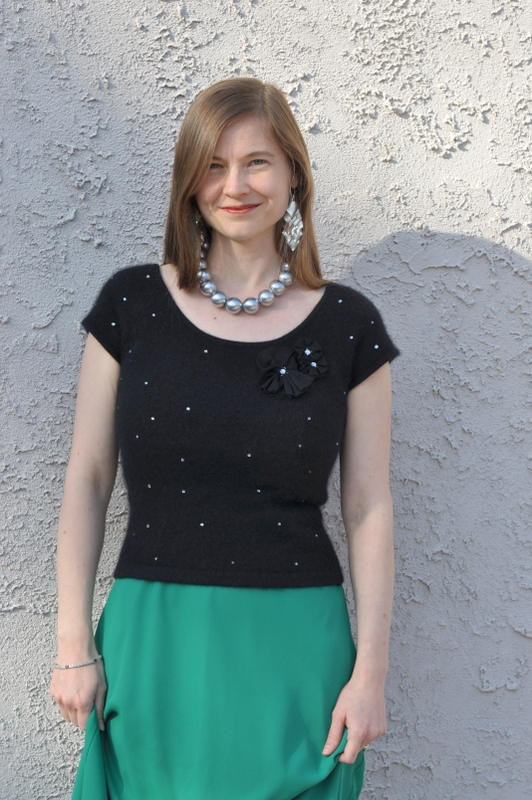 This dress makes me feel like I’m strolling the decks of the Titanic (though, thankfully, without the tragic ending), and I added some accent colors for a modern touch. Nothing goes better with navy than mustard, so I grabbed this new purse from City Thrift for a bright pop of sunshine. 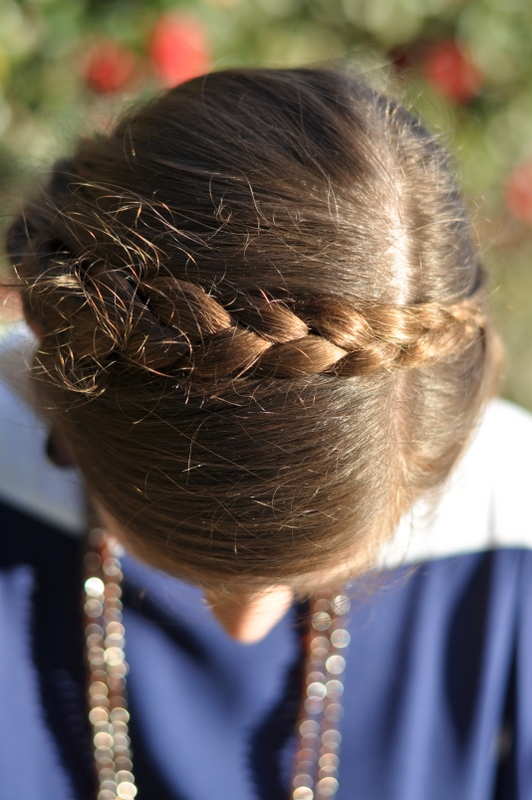 It has been really warm this weekend, so I braided my hair and then gently wrapped it around my head. A few bobby pins held it in place, and I thought it was a good counterpart to this vintage look. 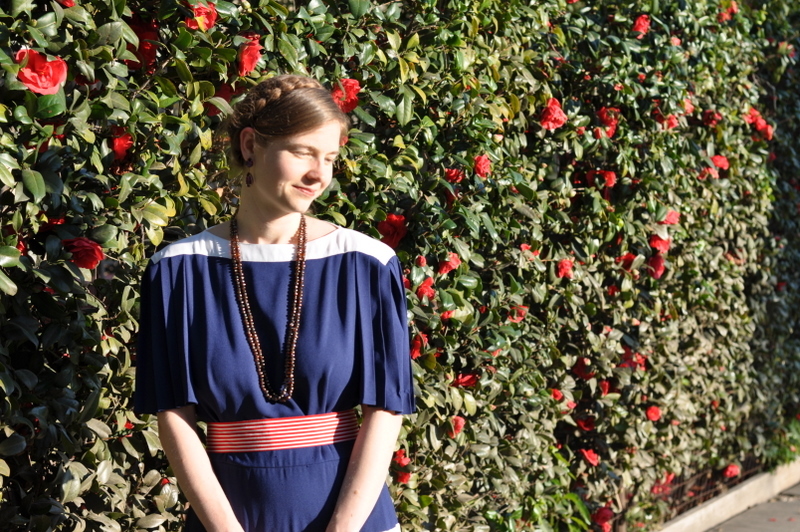 One of the most lovely features of this dress is definitely its epaulette-style sleeves. There are no shoulder pads, but the sleeves are actually only attached at the neckline, which means they can be swept back for a sleeveless look. Perfect for this hot day! 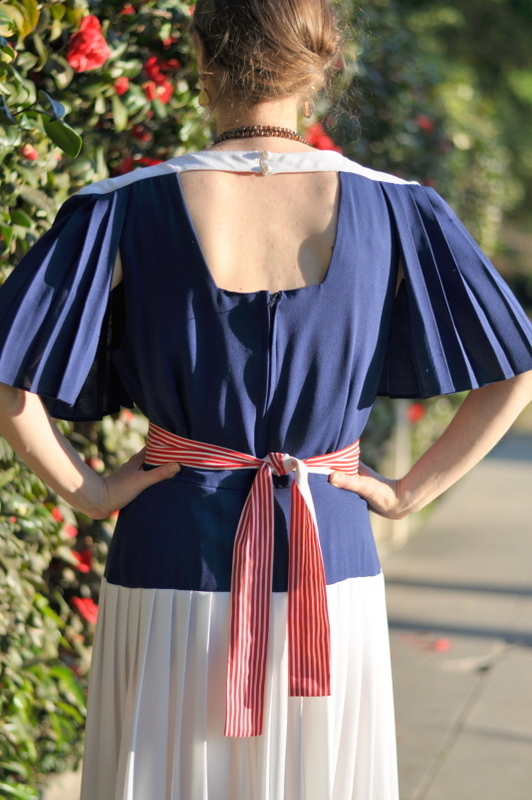 The back also has an opening, which shows off a few pretty pearl buttons and lets a breeze reach your shoulders. This little belt didn’t come with the dress (although it also probably originated at the Bargain Barn), but it just spoke to me. Stripes on stripes! 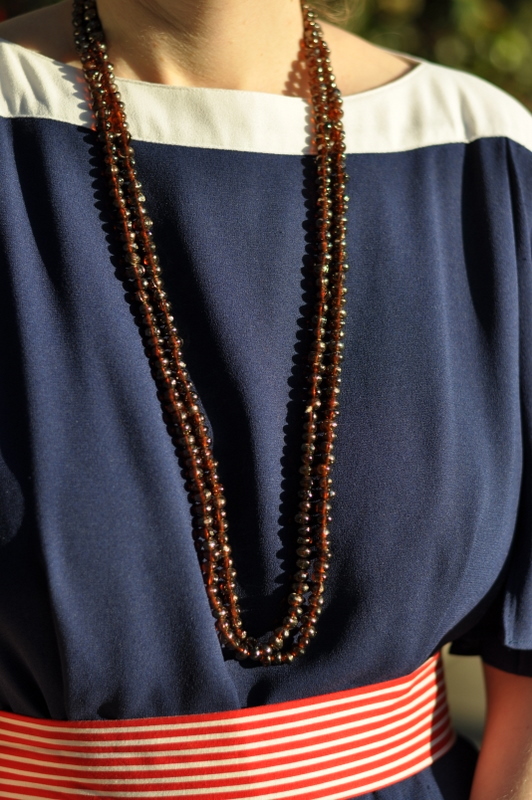 This glass bead necklace is from Berlin. I love the little clanging noise of the strands as they brush against each other. 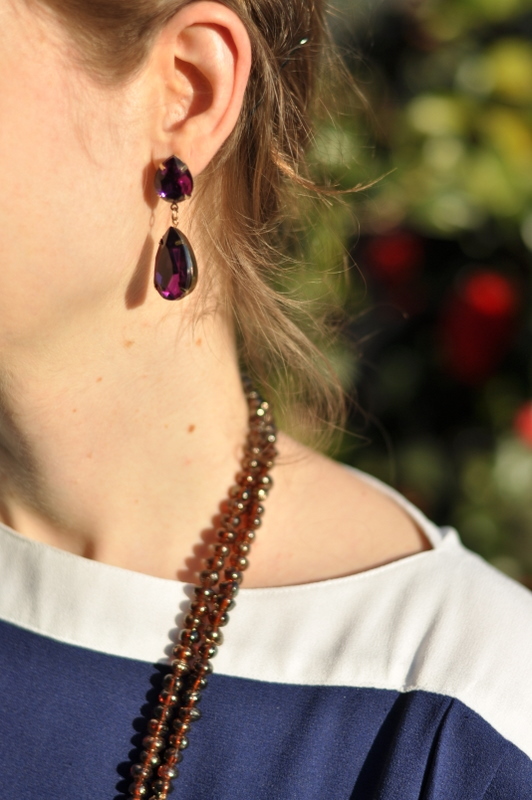 These purple earrings were a gift (to myself!) for my birthday this past year. I found them at my favorite thrift store in Pasadena. 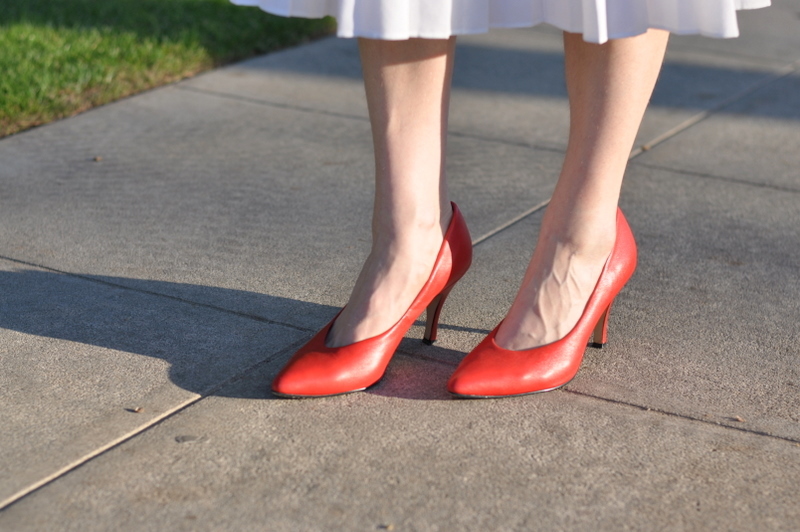 And, of course, these are my new red heels from the Bargain Barn. I cannot stop wearing them! They are, hands down, the most comfortable heels I’ve ever had. It’s finally warm enough here that we’re leaving all our windows open and heading out of the house without a sweater. This dress felt like the perfect way to celebrate early spring. Hope you all had a lovely weekend too!